The National Academy of DOT Medical Examiners (NADME) is the leading NRCME Certification Medical Examiner Training, OSA Training and DOT Driver Health, Fitness and Fatigue Training resource for the transportation industry. NADME offers DOT NRCME Certification Training and Obstructive Sleep Apnea (OSA) Detection and Certification Training designed specifically for Medical Examiners including MDs, DOs, DCs, NPs/APNS and PAs. The vision for NADME was born from the idea that education training for medical examiners on the requirements of the FMCSA driver DOT physical, qualification standards and guidelines as well as OSA Detection, Treatment and Certification options for commercial drivers and would greatly improve highway safety. To ensure progress in our ongoing commitment to DOT NCRME Training Working closely together, our medical advisory board and talented course development team combines over 250 years of experience in education, adult e-learning and compliance training to produce our online medical examiner training programs compliant with the DOT NRCME medical examiner certification training requirements. NADME has demonstrated its ability to enhance the skills and knowledge of medical examiners in the DOT NRCME requirements and regulations evidenced by our students’ 99.9 % pass rate on the NRCME national certification exam. This activity has been planned and implemented in accordance with the accreditation requirements and policies of the Accreditation Council for Continuing Medical Education (ACCME) through the joint providership of Postgraduate Institute for Medicine and The National Academy of DOT Medical Examiners (NADME). The Postgraduate Institute for Medicine is accredited by the ACCME to provide continuing medical education for physicians. The Postgraduate Institute for Medicine designates this enduring material for a maximum of 18 AMA PRA Category 1 Credits™. Physicians should claim only the credit commensurate with the extent of their participation in the activity. The Postgraduate Institute for Medicine is accredited as a provider of continuing nursing education by the American Nurses Credentialing Center’s Commission on Accreditation. This educational activity for 18 contact hour(s) is provided by the Postgraduate Institute for Medicine. The Postgraduate Institute for Medicine designates this enduring material for a maximum of 1.5 AMA PRA Category 1 Credits™. Physicians should claim only the credit commensurate with the extent of their participation in the activity. This educational activity for 1.5 contact hour(s) is provided by the Postgraduate Institute for Medicine. Built out of conviction, NADME has become the leading provider of NRCME Certification and OSA Training. NADME training provides healthcare professionals NRCME Certification Training that meets or exceeds the FMCSA’s core education requirements as well as complies with the requirements of the FMCSA needed to be an accredited DOT Certification Training Course. 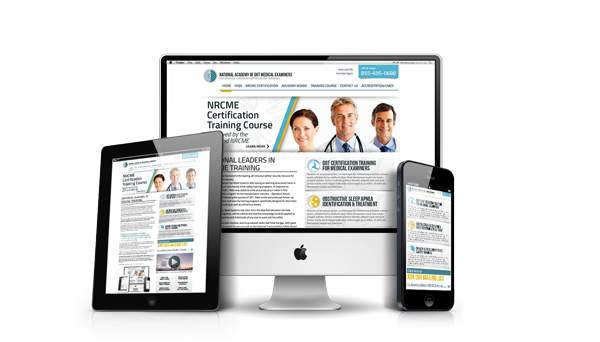 The NADME NRCME and OSA courses are fully accredited and after successful completion of the NADME Online DOT NRCME Certification Training Course healthcare providers will receive up to 18 AMA PRA Category 1 Credits™. 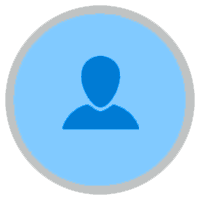 Upon completion of our newest course, DOT Driver OSA Detection and Certification, healthcare providers will receive up to 1.5 AMA PRA Category 1 Credits™. Join the thousands of healthcare providers who have completed DOT NRCME Certification with The National Academy of DOT Medical Examiners! Register Today! 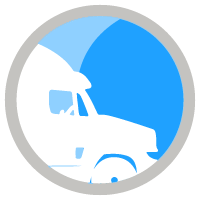 The purpose of this course is to sufficiently prepare DOT medical examiners with guidance regarding detection, suggested treatments and certification options for commercial drivers who have been identified with OSA. This course is only intended to provide evidence-based guidance for medical examiners until FMCSA approves a final rule. Delivered completely online, you get unlimited access to this self-paced course. Click Here ~ Sign up Now!